10,416 grt; 12,291 dwt; part-refrigerated. Operator: CTM-Companhia Portuguesa de Transportes Maritimos, Lisbon, Portugal. 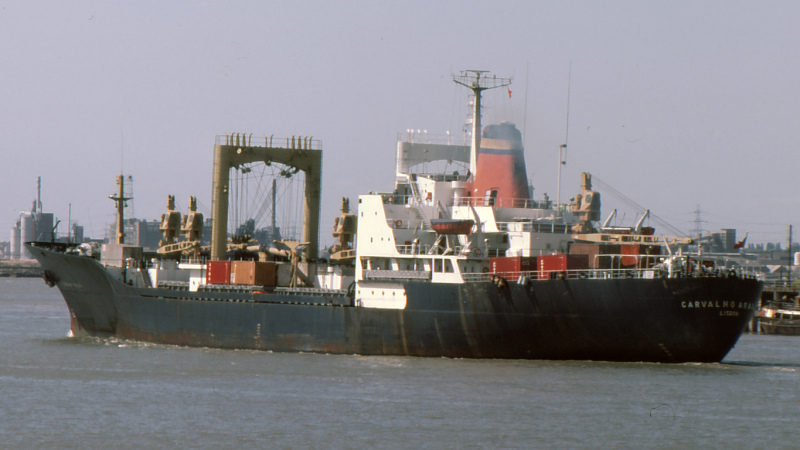 Built: 1972 by CCN Maua Shipyard, Niteroi, Brazil. Yard no 27. Main engine: eight-cylinder, two stroke Mec. Pesada-MAN K8Z86/160E of 18,400 bhp at 118 rpm. Speed: 15 knots. 1986-to breakers at Setubal, Portugal. This photo has been shown 366 times since it was added to the site.